Housing Bubble Is Now Official! There you have it! Flaherty just officially admitted to the existence of a bubble by suggesting that there were indications of the beginning of a bubble. 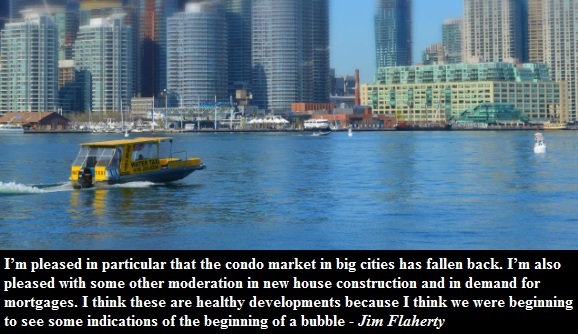 If you still don't get it, then this quote by Pacifica Partners will clarify the above statement: "...any stronger statement as to the existence of a bubble would be unlikely since it is common practice for policy makers to attempt to "talk down" fears." Still not convinced? Please consider when Bernanke famously said in 2005 that there is no housing bubble in the USA as housing reflects strong economic fundamentals. Is there a bubble or not? What do people think?